A handy reloading notebook for keeping all your load data safe. When reloading for your firearm, all care should be taken to follow reloading charts and guidelines – and always follow the safety precautions. 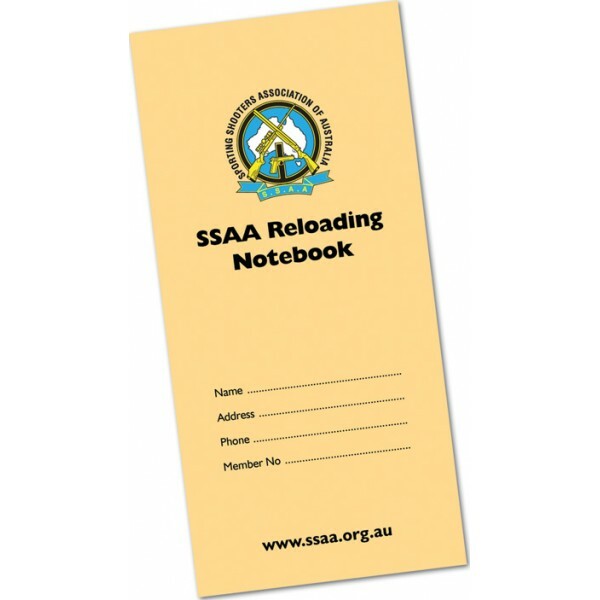 For reloading data on local and overseas cartridges, as well as information on reloading sabots, please read Reloading for Rifle & Pistols: An Australian Reloader’s Guide by Barry Wilmot, available from SSAA Online Shop. NOW WITH FREE SHIPPING AUSTRALIA WIDE FOR MEMBERS! © 2019 SSAA Onlineshop. All Rights Reserved.